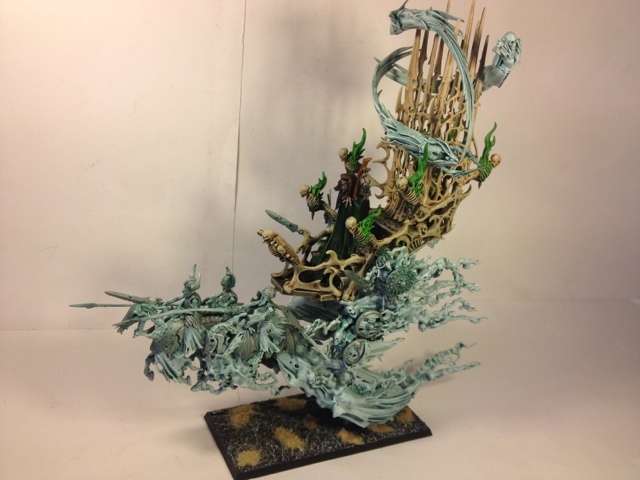 So I finished up the Coven Throne and Mortis Engine for the Vampire Counts army. Love the models! Let me know what you think. Extremely nice. 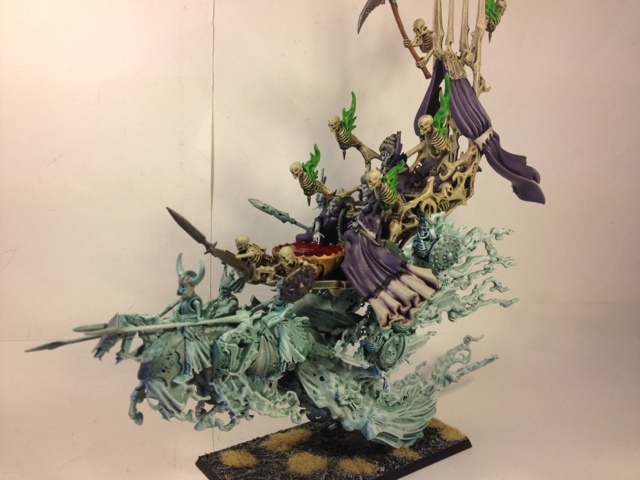 The choice of a bone colour for the structures works very well with the spirit hosts cool palette. How many sub assemblies did you make for each one? 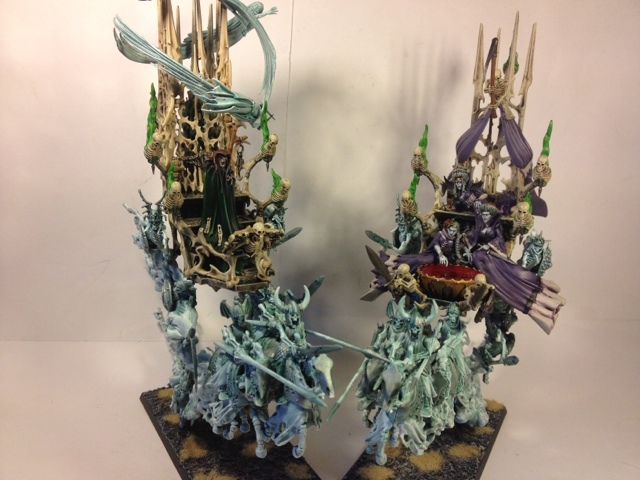 The Mortis Engine was done in 7 pieces whilst the Coven Throne in 5. Cheers. Did you magnetize them? How are you planning on transporting the models?